This privately owned modern day ticket fishery has excellent facilities and six pools to pick from. Becketts, 32 pegs, for carp to 15 lb, tench to 2 lb, crucian carp and skimmers to 1 lb 8 oz plus roach to 1 lb. Bridge, 31 pegs, has similar stocks as Becketts plus chub to 11b 8 oz. Top, 28 pegs, has carp to 17 lb, tench to 5 lb plus roach, skimmers and crucian carp to 1/b. Bottom, 10 pegs, has odd carp to 7 lb, perch topping 3 lb, a few tench to 3 lb, skimmers and hybrids to 2 lb plus roach and rudd to 1 lb. Middle, 12 pegs, is under refurbishment but will reopen soon as a mixed fishery. 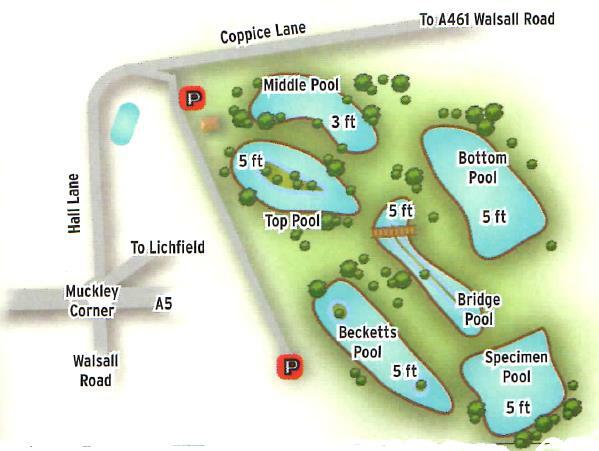 ​Coppice Mill, the specimen pool, has carp from 12 to 23/b. It is all about mixed catches here on most pools. Maggot or 4 mm soft pellets are the two top baits at the moment. Fish the pellets over micro pellet feed or maggot over loose feed. Dabbing punched bread is good tactic for carp. In the summer larger pellets, corn and the like can be used. On Coppice Mill boilies, artificial corn or maggot work well, but alternatives are always worth a try. Either side of the bridge on Bridge Pool or take advantage of any visible feature. Adults £6.00 OAPs and under-16s £5.00 with fishing from 7am to dusk. Coppice Mill (Specimen Poo l) by strict prior arrangement only, is £12.00 for the day, £20.00 for 24 hours, £28.00 for 36 hours, £35.00 for 48 hours. Disabled access. Barbless hooks only. No keepnets. Toilets facilities. Cafe on-site-open daily except Mondays. 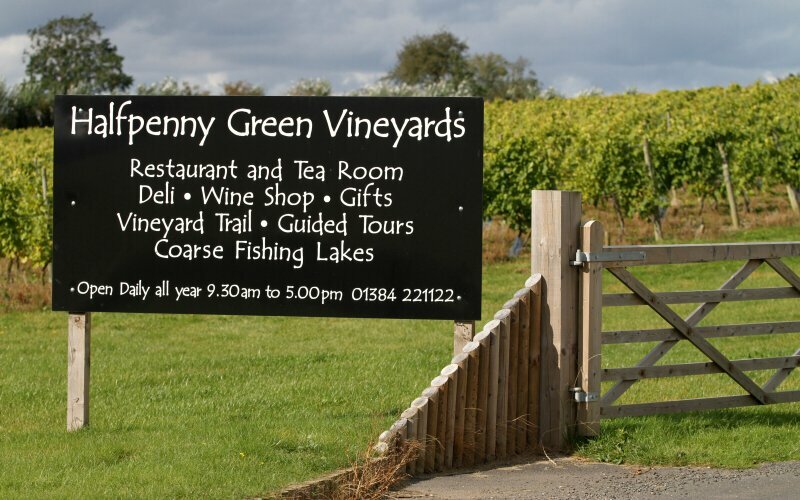 leave the M5, J6 and take the A4538 towards Evesham. At the second roundabout turn left onto the A422 towards Stratford and continue on for about four miles.